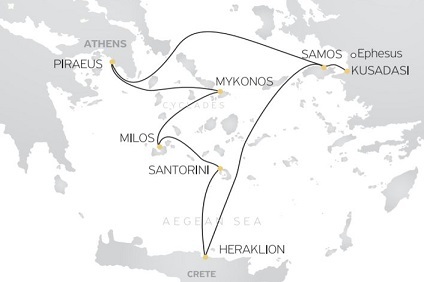 7 Night Cruise sailing from Athens roundtrip aboard Celestyal Crystal. Exterior Cabins at Deck 2. Bathroom with shower, air conditioning, telephone, hair dryer, safety deposit box, TV and port hole.